Barcelona has a lot of interesting museums, and on this page we will just introduce you to some of the most important and interesting museums in the city. We hope you will find a museum that exhibits something that sounds interesting to you! 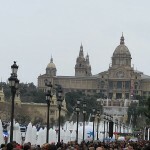 The National Art Museum of Catalonia is one of the most impressing buildings in Barcelona, and maybe the hottest museum in all the town. Here you can see examples of Romanesque, Gothic, Renaissance and Baroque art, and besides this lots of drawings, engravings and so on. In front of the museum you can find an amazing fountain with beautiful lights in the evening. Even though the National Art Museum of Catalunya might be the most visited, the Picasso museum will for sure be the highlight for Picasso lovers. A whole lot of Picasso works can be found here, and many different collections, so do not miss this for the world if you like Picasso and his masterpieces. The Fundació Joan Miró is a museum of modern art located in Barcelona. 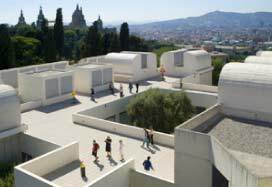 The museum was named after the world wide know Catalan, Spanish painter and sculptor Joan Miró. The Fundació Joan Miró opened in 1975 and Joan Miró’s idea was to create the foundation. His plan was to bring closer the contemporary art to the young and new artists in the city. The museum has a wide collection of art works from different painters and it has a separate space to exhibit contemporary art of young experimental artist. At the museum visitors can choose from different exhibitions and they have the chance to have a closer look on the most outstanding Spanish painters and their best works. There are plenty of art works from Joan Miró as well who donated most of the art works shown at the museum himself. The Fundació Joan Miró museum is one of the most visited places in Barcelona and it is a perfect place to discover more about art and the artists. The museum is open from Tuesday to Saturday from October to June from 10 in the morning until 7 in the evening and from July to September from every Tuesday to Friday is open from 10 in the morning until 8 in the evening. Thursdays it is open from 10 in the morning until 9.30 in the evening and on Sundays and public holidays it is open from 10 in the morning until 2.30 in the afternoon. The museum is closed on Mondays.